Concepcion S. “Conchita” Garcia, 89, of Russell, Pa., passed away on Tuesday, April 9, 2019, at Kinzua Healthcare and Rehabilitation Center in Warren, Pa.
Born Aug. 24, 1929, in Bogota, Colombia, she was the daughter of the late Damaso and Concepcion Cabrera Sarmiento. On August 13, 1955, in Bogota, Colombia, she married Jorge E. Garcia, who survives. Conchita and Jorge came to the United States as newlyweds to pursue the classic American dream, eventually raising their two daughters on Long Island, N.Y., before retiring to Russell, Pa. Conchita was a social worker for several years. 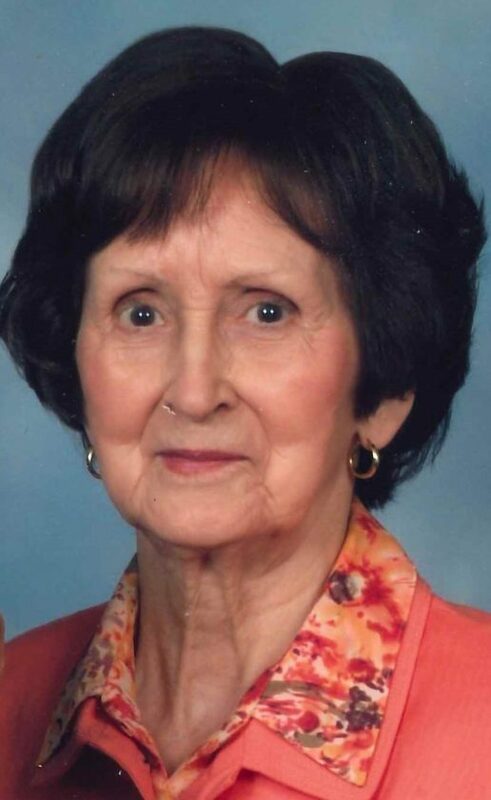 She was a member of Holy Redeemer Roman Catholic Church in Warren, where she was a member of the Altar Rosary Society and helped on the funeral luncheon committee. She was a devout Catholic. Her church and her family were most important. She was an avid knitter, baker and crafter, especially for her family. In addition to her husband, Conchita is survived by her two daughters: Doris M. Hale and her husband, Jim of Frewsburg, N.Y., and Maria C. Cholewinski of Branford, Conn.; five grandchildren: Nick (Brittany) and Andrew (Joni) Hale, Kristin (Steve) Kaye, Dominic and Rachel Cholewinski; four greatgrandchildren: Huxley and Lennox Hale and Emilia and Cecily Kaye; one brother, Alvaro Sarmiento of Bogota, Colombia; two sisters: Lilia Sarmiento of Bogota, Colombia, and Leonor (Luis) Cifuentes of Gainesville, Va.; and many beloved nieces and nephews. In addition to her parents, she was preceded in death by her brothers: Luis, Julian and Damaso Sarmiento; and her sister, Matilde Sarmiento. Friends may call on Monday, April 15, 2019, at Holy Redeemer Roman Catholic Church, 11 Russell St., Warren, Pa., from 10-11 a.m., at which time a Mass of Christian Burial will be celebrated with Fr. James Gutting, pastor, officiating. Inurnmentwill be in the Mausoleum of the Ascension at St. Joseph Roman Catholic Cemetery, Warren, Pa. In lieu of flowers, those wishing to place a memorial may do so to the Holy Redeemer Church Building Fund, or to the Warren Chapter of the Alzheimer’s Foundation. Arrangements have been entrusted to the Donald E. Lewis Funeral Home, Inc., 304 East St., Warren, PA. E-mail condolences may be sent by visiting www.lewis funeralhomeinc.com.